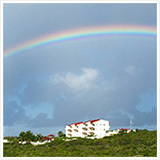 I came across this piece of Anguilla news and immediatley thought of you in case you wanted to blog about it. Here is the link to a neat article about a series of investigative leads, the FBI assisted Anguillian authorities with the recovery of these religious medallions, considered to be originally the property of Franciscan friars. In the summer of 1772, these friars made their way from Spain to Mexico in the 990-ton warship El Buen Consejo. Sailing in a fleet of more than a dozen ships, the warship was one of two vessels that veered off course and ran aground off the coast of Anguilla. The remains of the shipwreck, which is of international archaeological significance, reside within Anguilla’s Marine Parks system. Nori's Reply: Thank you so much for the article, Shawn. It is such an impressive Anguilla news story! Those coins are truly spectacular. My Dad said something about people trying to sell them on eBay? Wild! I'm glad that they were recovered, and what timing too. I have always been captured by Sherlock Holmes mystery novels but when stories like this come around in real life the tales are even more amazing. This Anguilla News article deserves to be in a book. This site is always full of good information. Join in and write your own page! It's easy to do. How? 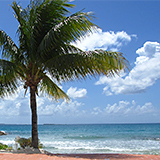 Simply click here to return to Anguilla News Stories and Commentaries.